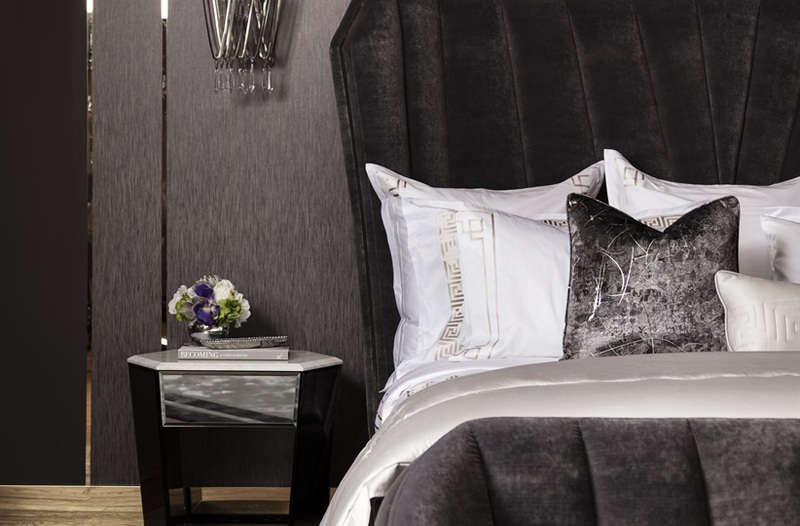 The Sofa & Chair Company is happy to present the collaboration with Peter Reed, luxury linens brand based on 150 years of heritage and craftsmanship. 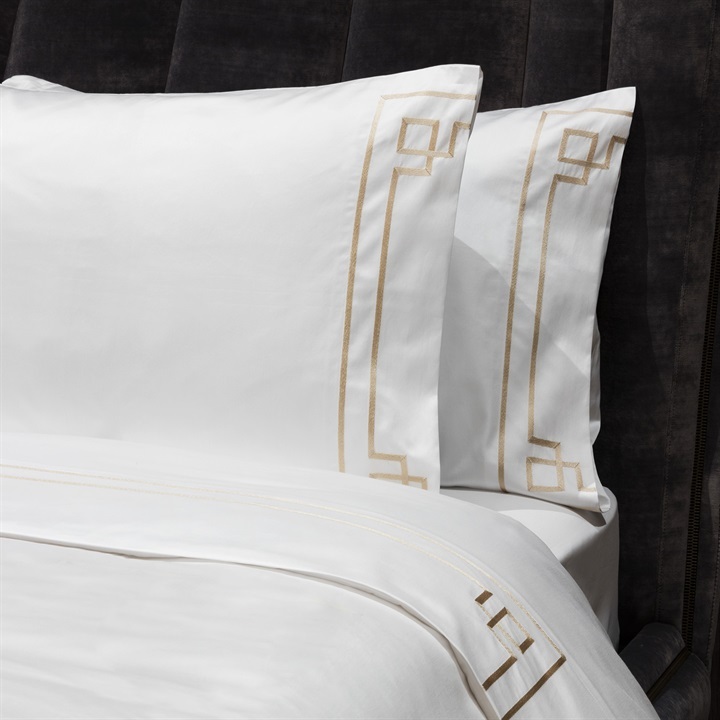 The exclusive collection features two designs – Athena and Hera – in a 600TC Egyptian cotton sateen in metallic silver and metallic stone tones. 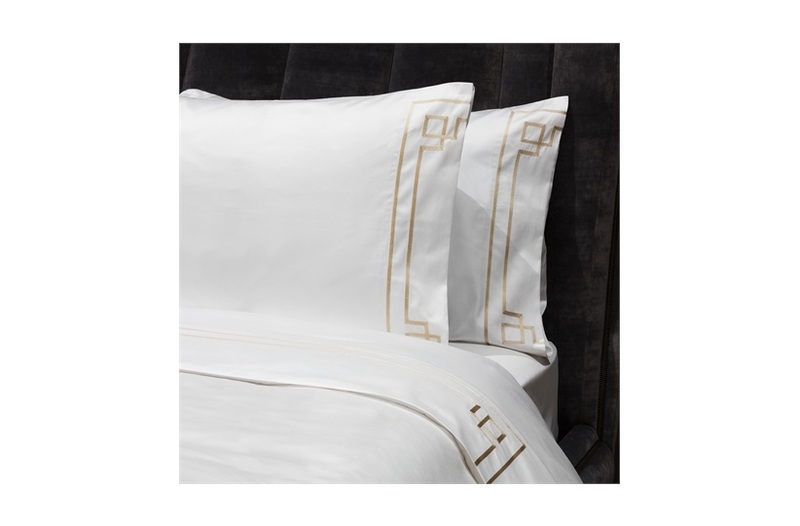 Available in a duvet set, a sheet set, and single Oxford square pillowcases. 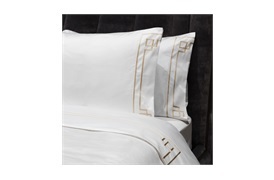 Sheet set includes: 1 Embroidered Top Flat Sheet, 1 Flat sheet, 2 Housewife Pillowcase. 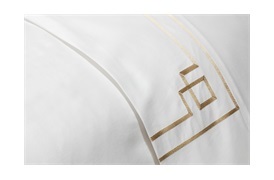 Main photo is the Hera Duvet set in Metallic Stone. 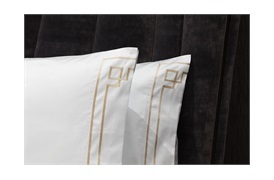 Mix and match this product with our Athena or Hera Duvet Set. 100% Egyptian cotton sateen, 600 thread count. Care Instructions: We recommend a 60 degrees cotton wash.